The result of most fraud is the loss of money. Either the victim unknowingly parts with their cash through the scam or debt is incurred under the victim’s name without their knowledge. 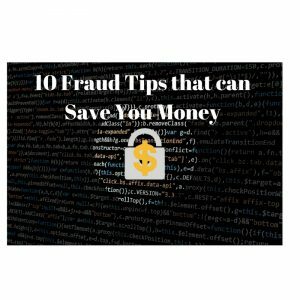 Regardless of how fraud happens, here are 10 ways to save your money and reduce the possibility of becoming a victim of fraud. Take 5-10 minutes each month to review all your credit card and debit card statements. Look for unfamiliar transactions and notify your financial institution right away. Banks have fraud departments and experts that can consider the matter further. Depending on the amount disputed, some financial institutions will credit the charge back to your account right away. However, most banks have a maximum period where clients can dispute charges (i.e. 30-60 days), so the sooner you recognize the discrepancy, the better. It is the responsibility of the cardholder to report any lost or stolen cards as soon as they are aware. This will allow the bank to freeze or cancel the card and avoid any fraudulent charges. Is your mailing address accurate on your credit report. A mailing address that you have never lived in and do not recognize may need further looking into. If you had requested your bank to close an existing credit product (i.e. credit card, line of credit etc. ), the status of the credit product should be reflected as ‘closed by consumer’ if the item is being reported. If this is not the case, notify your bank so they can close the account and lower the probability of this credit product being used without your knowledge. Active credit products are listed on your credit report. If a credit product was issued under your name without your knowledge, the information on the credit product should be listed along with all other debts. Having a credit product on your credit report that you did not authorize or sign for can be an indication of fraudulent activity. Keep organized and know where all your personal and financial information are kept at all times. For documentation that is outdated and needs to be thrown out, be sure to shred these documents before disposing. 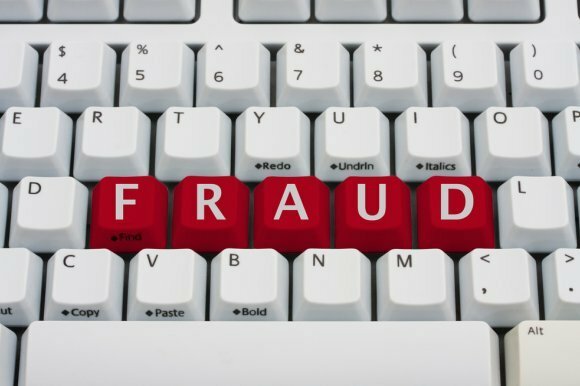 If you have been a victim of fraud in the past, or are concerned that you may become a victim (i.e. your personal information was stolen), you can request a fraud alert be placed on your credit profile. By placing a fraud alert on your credit profile, all potential creditors must follow additional steps before approving the applicant for credit. This typically entails calling the applicant (which would be you) with the phone number on file and asking them certain security questions to authenticate them. The idea is that if a scammer is applying for credit under your name, he/she would not have the phone number on file or can answer the security questions. The rest of the credit application process is the same. Although this does not guarantee a credit product will not be issued without your knowledge, it does include the likelihood that it will not be. Another benefit of pulling your credit report is that your report will also come with a dispute form. This form should be used to dispute any incorrect information on your credit report, provide supporting documentation (make sure to keep a copy for yourself) and mail back to TransUnion and Equifax. If the dispute affects your bank as well (which it probably will), be sure to send them a copy of the dispute and supporting documentation so they can fix it on their end. Many times, financial institutions fail to report up to date or correct information to the credit bureau so, it is better to notify both parties. This is not only to avoid a tax scam, but the MyCRA account is a super convenient way of updating your personal information with the Government of Canada, including your banking information, mailing address and marital status. You can also see all correspondence between you and the government as well as tax assessments, reassessments, refunds or amounts owing. 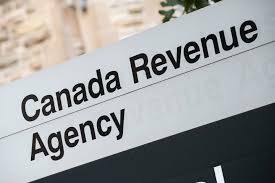 Having a MyCRA online account not only minimizes the occurrence of a tax scam as you can verify the information online, but it also beats waiting to speak to a tax representative for issues that can be resolved through the account. If you are providing personal/banking information, check to make sure the site is secured. Although you can never be 100% sure these days, most secure sites will have a closed pad lock and ‘https’ at the beginning of the URL. All smart phones have GPS location sharing as a feature on the phone. GPS location sharing or ‘geotagging’ provides a date, time and location stamp on all pictures and videos you upload to social media sites or anywhere on the web. If someone knows where to look, they can trace the whereabouts of your day. There have been instances where people upload photos on Facebook while out of town and robbers use this opportunity to break into their home and steal their personal belongings. Check online to see how to turn off geotagging (GPS location sharing) on your phone. Lastly, don’t forget to keep your browser updated and your technology secure. Update your router’s firmware and keep your computer firewall up to date.